GEM® e6 Electric Golf Cart: A 6-person golf cart for Anna Maria Island. 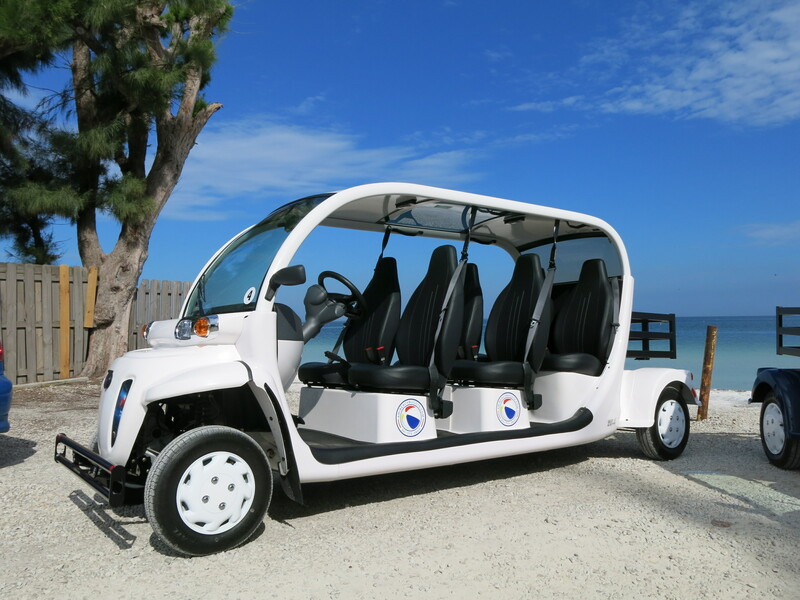 The roomy, 6 person AMI Beach Buggys GEM® e6 electric golf cart shuttles up to six of your friends and family around Anna Maria, Holmes Beach and Bradenton Beach. The GEM® e6 electric golf cart features an enhanced suspension that accommodates more weight without compromising your comfort. You and your family will appreciate the handy under seat storage and rear cargo box that come standard on your GEM® e6 street legal golf cart. A powerful, safe, street legal, 6-person electric golf cart vehicle to see Anna Maria Island with your family and friends. A compact, powerful, maneuverable, street legal golf cart, the versatile GEM® e6 electric car carries six people in spacious comfort—with 43 inches of leg room. A GEM® electric golf cart style vehicle is engineered for extreme comfort and safety. All passengers are seated facing forward in bucket seats with seat-belts. Its open air, golf cart design will enhance your view and enjoyment of beautiful Anna Maria Island.